It’s the perfect time to round up the “best of boundless.” Not only because it’s December, and a Year in Review post is typical of a magazine. But because in just a few short weeks, boundless magazine will be a year old. Huzzah! Boundless launched last January with an editorial mission of helping our readers do their jobs. We round up experts in their field and ask them to put finger to keyboard, and write articles in which they share their knowledge and experience. In July we matched that editorial effort with a platform design that sports a magazine-like look and feel intended to make reading boundless articles a pleasure. While we do love to write about Wi-Fi, much of what you read in boundless also covers things Wi-Fi can do beyond just connectivity. The goal is to help our readers understand real-world applications of Wi-Fi and the business challenges they can solve. This Year in Review is but a fragment of the articles we post daily. Explore. Enjoy. Enable … write or Tweet us to suggest areas of coverage you’d like to see in 2016. All the best in the year to come. Our editorial mission is “helping readers do their jobs.” While we do like to write about Wi-Fi, much of what you read in boundless covers things Wi-Fi can do beyond just connectivity. The goal is to help our readers understand real-world applications of Wi-Fi and the business challenges they can solve. Our target readers = customers, potential customers, and people who will refer Aerohive to potential customers.editorial mission is “helping readers do their jobs.” While we do like to write about Wi-Fi, much of what you read in boundless covers things Wi-Fi can do beyond just connectivity. The goal is to help our readers understand real-world applications of Wi-Fi and the business challenges they can solve. Our target readers = customers, potential customers, and people who will refer Aerohive to potential customers. To say that we love Wi-Fi around here is sort of stating the obvious. But yes, we love Wi-Fi. And we write about it a lot. Here are a few choice posts, but rest assured, there is a lot more where these came from. In this 3-part series on how to deploy Wi-Fi, Joe Fraher writes about how to set coverage and capacity goals, and how to determine network needs; he covers how predictive site surveys can be used to estimate location and quantity of access points; and he writes about how manual site surveys can be used to make adjustments for WLAN design. After reading these articles, I’m sure you’ll agree with me that Joe knows his stuff! Radio-frequency interference is the carbon monoxide of the wireless world – invisible, tasteless, odorless, arriving without warning, and with the ability to really ruin your day – unless you know the symptoms and have the right tools at your disposal. And that’s just what we have for you in this series of articles from noted wireless expert Craig Mathias of Farpoint Group. For all its simplicity to the end user, Wi-Fi is really an incredibly complex technology. In this series, Alex Gunther shares her expertise by taking us on a “get back to the basics” Wi-Fi journey. There’s a saying that it’s not your device that’s mobile, it’s you. Or more importantly – your employees. Allowing people to BYOD (Bring Your Own Device) to the office and access Wi-Fi is the expectation today, not the exception. We know all about this topic and we write about it frequently. When it comes to estimating the number of devices an AP can support, all scenarios are not created equal. Nathaniel Moore breaks it down in this article, walking you through how to answer this question for yourself. In this three-part Podcast series on BYOD, Mat Edwards sit down with Nick Fowler from mobile device management specialist Air-Watch to talk about the opportunities that come from supporting the bring-your-own-device generation. In this series series highlighting BYOD, we take a look at what concerns and procedures organizations need to evaluate as they embrace devices in the workplace. In this installment on how band steering fixes Wi-Fi problem, Jeff Haydel discusses a school environment where 5Ghz channels were becoming saturated. It’s still early days for IoT and it’s predicted pervasive reach. So we are staying one step ahead of the trend, and writing about ways that the Internet of Things is impacting, or will impact, your environment and what you should be thinking about to prepare. Perhaps the most daunting challenge organizations face when it comes to embracing the Internet of Things (IoT) is a lack of interoperability standards. The reason? It’s simple: A massive management headache looms when devices operate in siloes. How Will The Internet of Things impact schools? In this article, we discuss how schools and educators need to prepare for this next wave of complex network management. For years we talked about the forthcoming 802.11ac standard. When it arrived we talked about what to do with it. Now people want to know what’s next. The good news is we have experts on hand who can provide answers to all your 802.11ac questions. Put those concerns aside. Metka Dragos explains why deploying new 802.11ac Wave 1 and Wave 2 APs won’t force you to upgrade your wired network today. What Does 802.11ac “Wave 2” Mean And Do You Need It? Wondering what 802.11ac Wave 2 really is? Matthew Gast explains 802.11ac “Wave 1” and “Wave 2” terminology in this article. What Does Beamforming Do For Me In 802.11ac Wave 2? Matthew Gast continues his series on the features of 802.11ac Wave 2 technology, explaining the history of beamforming. 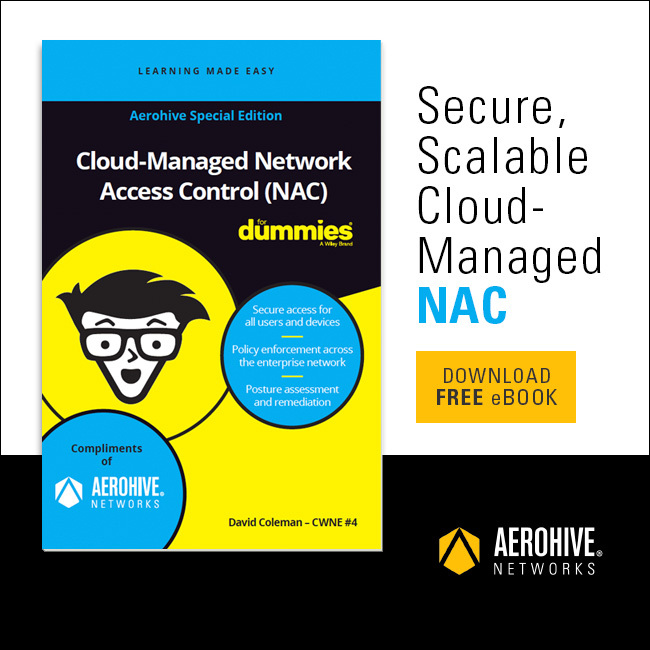 We tackled the topic of cloud networking from a few different angles this past year – security and in a school network, just to name a couple. The cloud has brought unparalleled access to information, but keeping it secure is the challenge for most organizations. Craig Mathias explores. As I was sitting at my desk in those first few weeks feeling overwhelmed, I started to think about what the future of educational technology. The iPhone was two years old, and people were starting to realize that mobility was a thing. This article is part one in a series on leveraging the cloud. Campus Wi-Fi: What Can We Learn from School WLANs? Schools are the original BYOD use case. Whether we are talking Universities where students carry as many as five mobile devices (and expect perfect coverage, 100% of the time) or a K-12 setting where a roomfull of students are accessing the internet simultaneousy, school IT Directors can teach everyone else a thing or two about how to reliably and securely enable that influx of devices on your WLAN. From the horse’s mouth: An IT Manager at Oxford University describes what it’s like to meet Wi-Fi expectations of the average 21st century student. Can School Wi-Fi Hold Up Under Pressure Of Mass Online Testing? A team of Wi-Fi experts from Aerohive conducts a live, high-density radio test at school to show how Wi-Fi holds up under pressure of mass online testing. In the companion piece – How Real-World Stress Test Of High-Density Wi-Fi Deployment Worked – Metka Dragos explains the details of how this test was conducted. Boundless is packed with articles about tech in the classroom – how IT Directors deploy technology, how teachers are using it, and how students are benefitting from it. Here are a few of our most popular posts. Are These 9 Tech Trends Happening in Your School? Phil Hardin sums up nine key technology trends in education that have emerged due to BYOD and 1:1 mobile learning in schools. Flipped classrooms look different than traditional classrooms. Read about this new approach to education and how it’s changing teaching and learning. As schools begin thinking through large-scale technology deployments, they often think about the why, but not about the how. School IT Director Bradley Chambers offers some great tips to consider.